Like Buying Money...: Taking a Hammer to Swans - Is that even legal? It's not been an entirely predictable start to the new football season & that unpredictability is part of what makes it exciting, with just one or two rounds of games played there isn't too much recent form to base decisions on & we think there may be some slightly false prices available based on single performances. We've got selections from the Premier League & lower down the ladder as we look to start the ball rolling on a profit front for the year. You can follow us on Twitter @LikeBuyingMoney where we keep you up to date with any blog posts & talk about sports & betting in general, hopefully we'll also be getting some competitions running for the new season soon! One team that people certainly seem to be getting carried away with after their first game is Michael Laudrup's Swansea City after they thrashed QPR 5-0 at Loftus Road, it certainly was impressive but they are facing a different proposition in West Ham United back home at the Liberty Stadium. Sam Allardyce's side along with Stoke play probably the most different type of football to Swansea's slick passing style as is possible & will nearly always have less than 50% possession so won't be unduly concerned whilst Swansea hold onto the ball. Newcastle United won here in the league last season whilst only having 32% of the ball & West Ham will have every chance of doing the same with their long balls & potent threat at set pieces. Swansea really played well against QPR but it should be noted that the defensive display from the London side was comedic at best with ex-Hammer Rob Green letting a real soft one in to start the rout unsettle his defenders at the same time, Mark Hughes clearly knows he has problems in defence & has moved for Ricardo Carvalho & Michael Dawson to rectify it. New signing Michu bagged two last week & is being hailed already but he never really fired them in until last season for Real Mallorca (14 league goals in 4 years prior in the Spanish 2nd tier) & caution should be taken before thinking he's their cutting edge. Wayne Routledge was also impressive last week but rarely puts two good performances in a row in & similarly whilst Nathan Dyer also scored twice he's only got 21 goals in his 227 game career. We basically don't think it will be as easy for the Swans to get the better of West Ham's big centre back pairing of Winston Reid (6"3) & James Collins (6"4) & they'll also have plenty to deal with at the other end of the pitch. Modibo Maigo could get his first start for the Hammers after coming on as a sub against Villa & he reportedly has considerable talent with Newcastle having made a move for him before it stalling upon a medical. 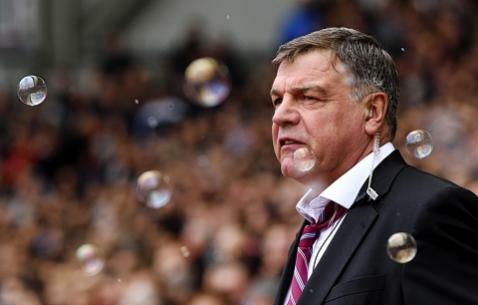 Other than Maigo, Big Sam has plenty of choice up front & can pick from Nicky Maynard, Ricardo Vaz Te, Carlton Cole & Freddy Piquionne to try to form a strategy to win here. Captain Kevin Nolan will also score his share this year & we think West Ham have a great chance of breaching the Swansea defence & we're unconvinced about the home side's goal threat when not playing against porous QPR defences. If West Ham can score it'll make it difficult for Swansea to win so taking the Hammers on the draw no bet market at 12/5 is the selection. Down in League One, Notts County entertain Walsall at Meadow Lane, lthough still early days in the new season the Magpies have made a confident start with a perfect start & six points whilst Walsall have only picked up a solitary point. More importantly, looking at a longer term trend, Notts County manager Keith Curle has a nice win ratio of 63% with twelve victories from 19 matches & County have made a number of decent signings in the summer whilst crucially keeping hold of sought after midfielders Alan Judge & Jeff Hughes. New signings Bartosz Bialkowski, Gary Liddle, Dean Leacock & Andre Boucaud have all made instant impacts but striker Francios Zoko has been the most impressive with two goals in two games. He came off in the comfortable 2-0 win over Hartlepool in midweek but only as a precautionary measure & will hopefully be back to lead the line & continue to build his relationship with Lee Hughes as they look to strike up what could be a formidable partnership. Walsall have struggled in recent seasons & only narrowly escaped relegation last season on the penultimate day. With no cash to spend; manager Dean Smith is facing a long, hard season & they have made the expected slow start. A heavy 3-0 home defeat against Doncaster was followed by a draw with Oldham who themselves aren't going to trouble the top half. Saddlers keeper David Grof has been given a warning this week that his place is at risk after a number of errors & this can only create indecision & panic in a defence which is average at best. Notts County have the players & confidence to beat a poor Walsall side & continue setting the pace in League One at the reasonable odds of 4/5.